It’s time to go back to when you were just a kid. You just made it to high school and you have a whole new world ahead of you. You have your best friends, and of course you have that one girl that catches your eye and she’s all you ever think about. It’s also that time, when you are starting to rebel against your parents and their weird, but loving ways. Well, what if you have had enough of their crazy antics and decide to runaway and build your own place, deep in the woods, and live like kings, with no rules but your own. 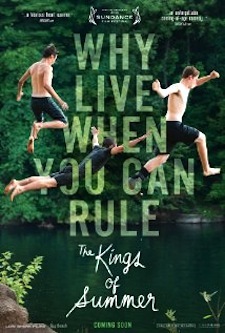 In The Kings of Summer, we get to see what happens when you leave the comforts of home and go out to live on your own, with just your close friends nearby. 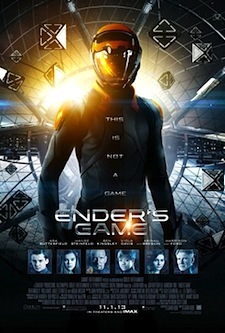 The story follows two teenagers, Joe (Nick Robinson, Melissa and Joey) and Patrick (Gabriel Basson, Super 8), both of whom are sick of their parents. Joe, dealing with the loss of his mother and a father Frank (Nick Offerman, Parks and Recreation) he can’t seem to connect with, and Patrick, whose parents (Megan Mullally, Will and Grace l Marc Evan Jackson, Suit Up, are a little too happy and nice at times. Directed by Jordan Vogt-Roberts, The Kings of Summer stars Nick Robinson as Joe Toy, a high school freshman on the verge of adolescence who finds himself increasingly frustrated by his father Frank’s (Nick Offerman) attempts to manage his life. Declaring his freedom once and for all, he escapes to a clearing in the woods with his best friend, Patrick (Gabriel Basso), and a strange kid named Biaggio (Moisés Arias). Joe announces that they’re going to build a house there, free from their overbearing parents. Once their makeshift dwelling is finished, the three young men find themselves masters of their own destiny, alone in the woods.